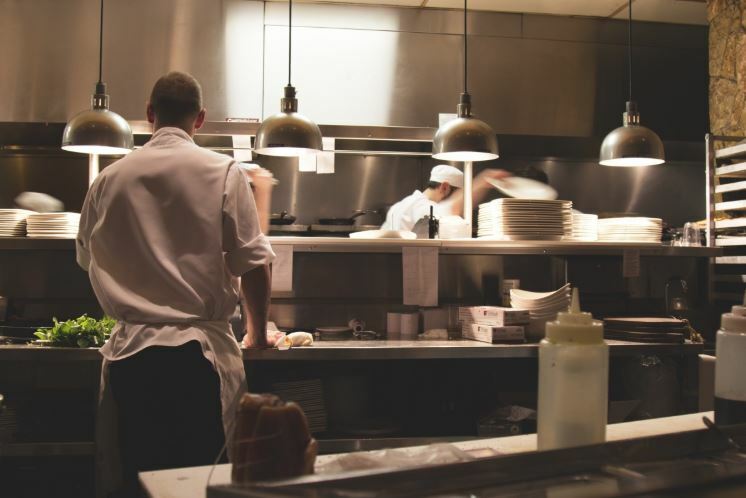 Commercial kitchens top the list as one of the most dangerous places to work. Why? Consider what’s around. There are active heating elements all over the room, knives, flammable substances, and waiters moving in and out of the room every few seconds in their own little world. During business hours, stating that kitchens are a little crazy would be an understatement. Because of that, it’s very important to follow commercial kitchen fire prevention guidelines closely. More than 6,000 kitchen fires occur each year, causing millions in damage and lost business, so we must do everything in our power to prevent that from happening to you. How Do Kitchen Fires Start? Lack of cleaning is usually the cause of kitchen fires. Equipment and systems get dirty and when the employees fail to effectively sanitize the area, fires start, and they destroy everything in their path. Constant cooking with fatty substances and oils in the kitchen leads to an accumulation of grease as the vapors are released into the air. Greasy vapors hit the hood filters, but they can only catch some of the particles. Some grease manages to get through and coats the inside of the kitchen exhaust system, layering the walls, vents, and ducts with fat residue. Sometimes the vapors make it all the way to the extractor fan and spill over onto the roof because of an ineffective or cheap grease trap. The greasy coating on fans and other system elements creates an imbalance that degrades system efficiency and is almost always noticeable either by sight or rattling noises. Blockages of the vents may also occur. These issues create a large fire risk because grease is flammable and will continue being exposed to heat until its removed. Suffocate the fire (if you) can by putting a lid over it. Throw baking soda on the flames. Use a commercial grade fire extinguisher on the flames. If following these steps does not put out the fire, leave the area immediately and call 911. Beware the Cooking Tops – Deep-fryers are notorious for burning people and starting fires. Watch the cooking surface carefully to make sure no oils or grease splashes onto it when food is cooked. NFPA 96 fire regulations require commercial kitchens to keep deep fryers at least a foot and a half from any active heating elements. Monitor Electrical Equipment – Make sure all electrical equipment is working as intended. If something is malfunctioning or doesn’t seem right, fix it right away or call in for servicing and maintenance. Verify the Fire System is Working – Check the alarm to make sure it’s working correctly and refill or replace the fire extinguishers if needed. Clean the Vent Hood and Exhaust System Regularly – Ensure regularly scheduled cleanings of the vent hood and exhaust system to prevent the accumulation of grease. Buy the Correct Fire Extinguisher – OSHA requires commercial kitchens to carry dry chemical fire extinguishers. Make sure you have them on hand and ready for action. Additionally, make sure the staff knows how to use it in case of an emergency. Run Safety Training – Mandate that employees attend safety training to ensure they are aware of the evacuation plan, know how to use fire extinguishers, and know what to do if a fire starts. Schedule a Fire Inspection Check-up – Schedule a check-up for the fire suppression system for once every 6 months. Run a Tight Ship – Make sure equipment is unplugged when it’s not in use, staff clothes are intact, garbage and things in the aisle are removed, and smoke breaks are nowhere inside or nearby. Get Better Lights – Add lighting to the kitchen to make everything easy to see. Better lighting is safer. You hear rattling or odd noises coming from the exhaust fan. Contact the Queens Hood Cleaning Pros for our commercial kitchen fire prevention service in Queens, New York and the local neighborhoods. In addition to offering training, we also refill and replace fire extinguishers. Call now at (718) 237-1725.